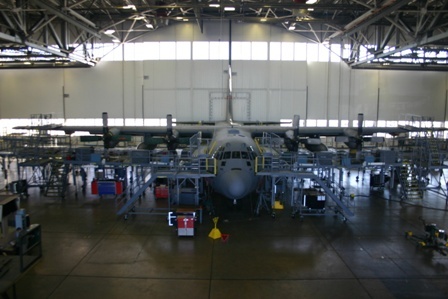 Aircraft Maintenance Stands – Projects in Progress – Kern Steel Fabrication, Inc.
Kern Steel is currently fabricating and installing the C-130 ISO Stands, of our own design, for the United States Air Force. 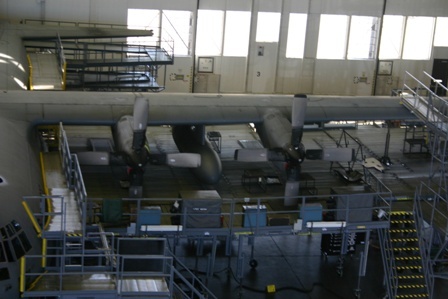 Kern Steel was selected for this project through the Air Force's rigorous full four color source selection process. 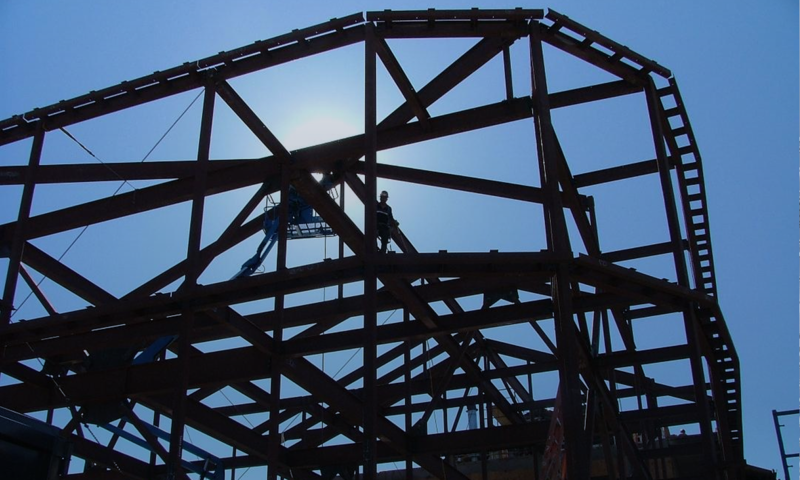 This selection process resulted in Kern Steel being selected as the Best Value and most technically competent contractor. The first stand was installed in Little Rock, Arkansas. 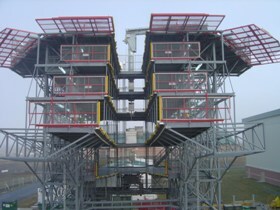 The next four are currently being fabricated and will be installed by the third quarter of 2014 in Youngstown, Ohio, Cape Canaveral, Florida, Niagara Falls, New York and Colorado Springs, Colorado. 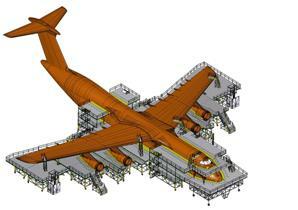 Kern Steel is currently designing and fabricating the C-5 ISO Stand for the United States Air Force. 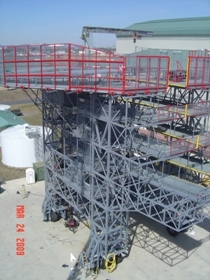 Kern Steel was selected for this project through the Air Forces rigorous “Full Four Color” source selection process. 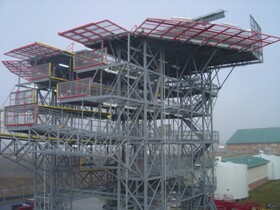 This selection resulted in Kern Steel being selected as the “Best Value” and most technically competent contractor. 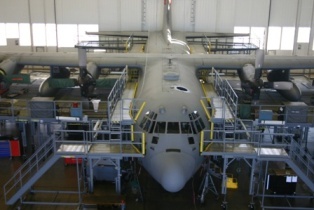 This is the second job that Kern Steel has done for the Air Force. 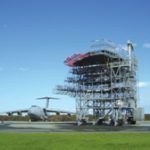 The first was the repair of a C-5 Wing and Fuselage Dock for the Air Force. 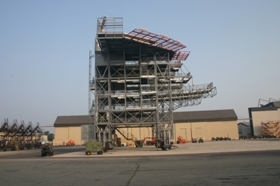 Kern Steel was able to finish the job a full month ahead of schedule. 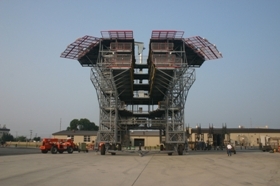 Kern Steel is currently working on the erection of the C-5 Empennage Stand for the United States Air Force. Kern Steel was awarded this job on August 22, 2005. 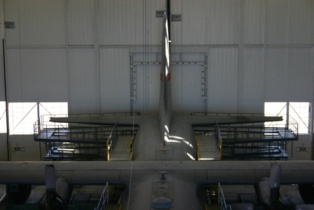 This is the third of eight Empennage Maintenance Stands for the C-5 aircraft. 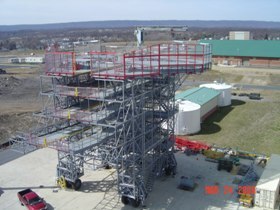 Kern Steel was awarded a contract to provide for the design and production of this stand.